We specialize in site development as well as all phases of road, bridge, utility, and heavy highway construction. Our expertise covers all aspects of both public and private sector work. This position demands an individual with a strong detail-oriented work style, excellent oral and written communication skills, and an accommodating and proactive attitude. Familiar with sub-divisions, grading, streets, sanitary sewer collection, storm drains, and water distribution. Basic knowledge of waste-water treatment plant expansions, underground utilities, paving projects, ground storage tanks, elevated tanks, water wells, and sewer rehabilitation. Supervision and coordination of drafting and CAD projects. Must be capable of independent and team work environments. Self-motivated and high level of energy. Candidate must be flexible to working overtime as required with little or no notice. Exposure to MS Outlook is helpful, but not necessary. 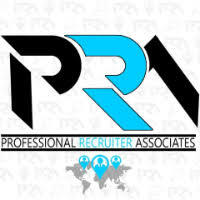 For immediate consideration, please forward a copy of your current resume to info@profrecruiters.com referencing job #1593 or a link to this job.